Wilco has spoiled its fans for years — long energetic shows, consistently excellent albums, interesting collaborations — they are the finest working American band. Wednesday night at McCarren Pool, the Brooklyn fans were treated to a special evening of perhaps the most complete Wilco performance NYC has ever seen. After 27 songs, eleven encores, and two-and-a-half hours of music that covered all aspects of their career, there could be no gripe from any of the 5000 guests save for the most petulant, fickle or inexperienced concert-goers. The setlist was a complete review of Wilco’s music — of the first 12 numbers there was at least one song from 7 different albums. All the classics were performed, along with a nice selection of rare old chestnuts (“Far Far Away”, “Kingpin”) and some obscure tracks (“Blood of the Lamb”, “Pieholden Suite”). The band also added a trio of horns (“Total Pro Horns”) for this tour who added an interesting dimension to several older numbers. Jeff Tweedy’s voice has fully recovered since his surgery two years ago, and it seems to be completely back to its original strength. Jeff threw quite a few playful verbal ribs at the crowd, although he refrained from throwing actual food into the audience. We recorded from directly in front of the soundboard in the center. While the packed crowd was a bit too chatty around us, the music was expertly mixed by Wilco’s talented sound crew and they provided us with a superb sound capture. Enjoy! If you email nyctaper for access to this recording, we expect that you will PLEASE SUPPORT Wilco, visit their website, visit their MySpace page, and purchase their official releases at their website [here]. Thanks NYCT! Went to the Hammerstein show you taped last year, so immediately headed to your site after this year’s. Can’t wait to listen again, or for the first time if you know what I mean. Also hope your Phish rumor is legit. That would be sweet. thx. the mp3s for track 16 and 17 seem to be corrupt…are you able to fix it? thanks for all you do!! Hi nyctaper. Just wanted to let you know I was having the same problem as ez, so thanks for the direct links. Always look forward to reading your site after I go to shows! Thank you for this, just finished downloading and I’m up to IATTBYH and it sounds incredible. Thank you so much! 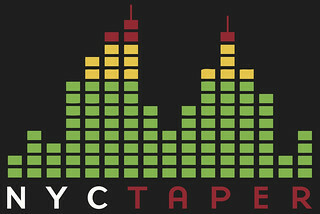 Sorry, some jerkoff posted the direct link to the mp3s on his site and nyctaper has been getting server overloads. So I had to change the direct download links. Sadly, I have the same problem as the above folks, but my downloaded archive freezes at unpacking track 16 and then will go no further. I am using a Mac, and I tried both Firefox and Safari. This was an amazing show. If anyone knows how I can get tracks 18-29, I would be delighted to know. Cheers, a lovely sound (despite chatterers),great set-list and performance. Thanks for taping and sharing this recording. A new completely fixed set of mp3s are now on the server for this. I’ve had several reports of corrupt files that can’t be opened at all, even with the fixed files above, so I started from scratch. All new, all good. Go for it. Looking forward to reliving this awesome night of music. Thanks!